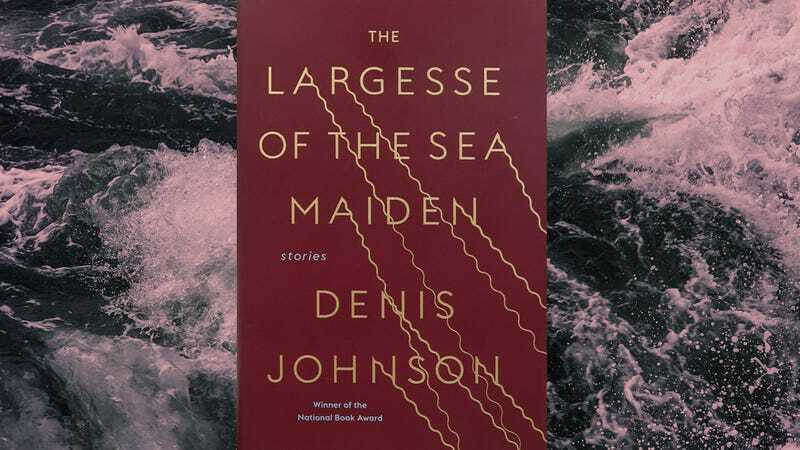 In Johnson’s sticky-as-Velcro prose, The Largesse Of The Sea Maiden ruminates on mortality and what a life might yield. “Certain odd moments” and bizarre repetitions occur with startling frequency in these five stories. 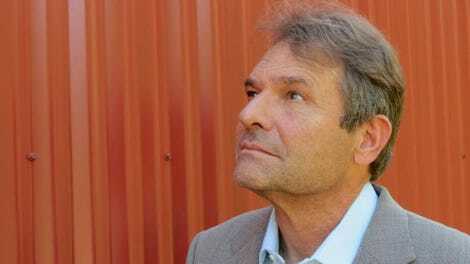 In the title piece, the narrator gets a phone call from one of his ex-wives, who on her deathbed, wishes to “shed any kind of bitterness” from their relationship, now 40 years past. He obliges her the conversation yet realizes halfway through that he might have misheard her name and could actually be talking to his other ex-wife he wronged. But the narrator does not seek to clarify this, and the dying woman ends the call satisfied with his apology, because “after all, both sets of crimes had been the same.” With the passage of time, the accumulation of experiences, good and bad, the characters in Largesse find out who they are. Yet it’s how they reflect on their pasts that matters as much as, if not more than, any supposed successes or failures. This collection, completed shortly before Johnson’s death at age 67 last year, is not that of an old man wishing he’d done something different. Instead these characters accept their messy existences while scrambling for grace, frequently struck by just how goddamned wild and weird life can be. If these characters put their faith in any grand design of the world, it concerns such oddball coincidences. The Largesse Of The Sea Maiden presents a belief system, not of God but of hexes, whammies, jinxes, and plain bad luck—or, as the Elvis-obsessed poet in “Doppelgänger, Poltergeist” puts it, “hoodoo, and rootwork, and the reading of entrails.” Over the course of the story, the narrator’s friend becomes consumed by a conspiracy theory regarding the rock ’n’ roll icon’s stillborn twin brother. In one of the pair’s correspondences, the narrator writes that putting stock in his friend’s hypothesis would first require believing in the hereafter. “‘Life after death, ghosts, Paradise, eternity—of course, we take all that as granted,’” the poet replies. “‘Otherwise where’s the fun?’” What does any of this even mean? Johnson asks. Nothing necessarily, but it can be thrilling to push pins into a wall, tie some yarn, and try to make connections. This strange sense of interconnectedness is aided and abetted by the structure of these narratives. Reflecting the associative nature of memory, the stories bend and wind, collecting more and more repetitions along the way. Some pieces circle their subjects more tightly, while others wander seemingly off-course before their endings make clear what Johnson has been up to the whole time. “Triumph Over The Grave,” one of the collection’s best, opens quietly, with the narrator eating breakfast in a diner, before it gathers momentum and delivers perhaps one of the greatest last lines ever printed in short fiction. That single sentence exemplifies what great art can do: portray something poignant in so clear a manner that the beauty of its depiction transcends the pain of its truth. “Triumph Over The Grave” also underscores what a gift Largesse is, as the book puts forth Johnson’s thoughts on mortality—candid and plaintive and often terribly funny—so close to his own death. There’s a kind of uncanny magic at play here. In this his final work, he expands beyond the familiar while still giving us the writer we’ve always known; he allows, once again, the visceral pleasure of his strange, chewy language. In “Strangler Bob,” when asked what he’s in for, an inmate says, “‘Something juicy.’” In the title story, the doctors have “closed the book on” the narrator’s dying ex-wife. In “Doppelgänger,” which is the last story in the collection, the narrator describes his friend’s poetry as “the real thing, line after line of the real thing.” It’s perhaps no coincidence that Johnson’s work can be described this way, too.